Researchers find way to screen for broad range of cancer-causing genetic changes ~ Health Matters Today! Researchers in the United States have shown, for the first time, that it is possible to screen cancer patients for a broad range of cancer-causing genetic mutations as part of normal clinical practice. By identifying patients' individual genotypes within a relatively short time frame, doctors are able to target tumours with the most appropriate therapy. The study, which is published in the cancer journal, Annals of Oncology today, was carried out in patients with non-small-cell lung cancer, but already the researchers are using it in a range of other cancers as well. Patients with non-small-cell lung cancer (NSCLC) may have mutations in any of at least 14 different genes (probably more, as yet undiscovered). 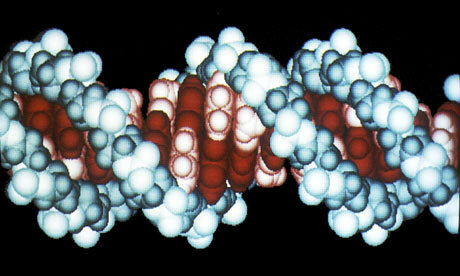 Until now, it has only been possible to search for single or a small number of genetic mutations. But as more and more genes are discovered to be involved in more cancers, it has become increasingly important to develop a way of determining the mutational status of a large number of genes at once. Assistant Professor of Medicine at Harvard Medical School and thoracic medical oncologist at the Massachusetts General Hospital Cancer Center (Boston, USA), Lecia Sequist (MD, MPH), and Dora Dias-Santagata (PhD), who is co-director of the Translational Research Laboratory in the Massachusetts General Hospital Pathology Department and Instructor of Pathology at Harvard Medical School, and their team have developed a clinical test called SNaPshot. It can test over 50 well-known mutation sites (hot-spots) in 14 key cancer genes, with an average turnaround time from a sample being sent for testing to final results of just 2.8 weeks. The genes include those such as EGFR, KRAS, BRAF, HER2, etc. SNaPshot uses a technique called "multiplex PCR", which amplifies multiple mutation sites in different genes, in a single polymerase chain reaction (PCR) experiment, thereby saving considerable time and effort. Dr Dias-Santagata explained: "This test allows us to look for a defined set of common mutations that occur in cancer cells, but not in the other cells of the body. These mutations affect genes that disrupt the checks and balances that usually govern the behaviour of normal cells, giving the mutant cells an advantage to divide and multiply, and the potential to give rise to a tumour. Targeted cancer therapies or 'smart drugs', each developed to fight a specific group of genetic aberrations, are now available. Because each tumour will harbour a specific set of mutations, the SNaPshot test allows us to match individual patients with the therapies that will most likely be effective in treating their cancer." Dr Sequist added: "Choosing the right therapy can raise response rates in NSCLC patients from around 20-30% to 60-75% and may improve survival." From March 2009 to May 2010 samples from 589 NSCLC patients were analysed using SNaPshot; 546 patients had samples with enough tissue to be tested, and turnaround time ranged from 1 to 8.9 weeks – with the longer time usually being due to retesting some samples. One or more mutations or rearrangements were found in 51% (282) of the samples, with the most common being in the KRAS (24%), EGFR (13%), ALK (5%), TP53 (5%) and PIK3CA (4%) genes. Out of 353 patients with advanced disease (stage IIIb, IV or recurrent), 170 had genetic mutations or rearrangements in EGFR, KRAS, ALK, BRAF, PIK3CA and HER2 genes and were classified as "potentially targetable" as these patients could join clinical trials examining drugs targeting these genetic changes. Another 30 patients with EGFR mutations were treated outside a clinical trial with erlotinib, an EGFR inhibitor, which is already used to treat lung cancer patients. Prof Sequist said: "To our knowledge we are the first centre to offer this broad multiplexed genetic screening to all non-small-cell lung cancer patients. Broad genotyping is going to become part of everyday care for lung cancer patients – the field is clearly moving in this direction. Our study is exciting because it demonstrates that indeed it is possible today to integrate testing for multiple genetic biomarkers into a busy clinic and steer patients toward personalised therapies." Dr. Dias-Santagata added: "In contrast with prior genotyping strategies (mainly focused on testing EGFR and KRAS), employing a broad gene panel enabled us to provide a therapeutic alternative to lung cancer patients whose tumours harboured much less frequent genetic abnormalities (such as mutations in PIK3CA and BRAF, or rearrangements in ALK). Taken together, these individuals accounted for around ten percent of our patient population, but they would have remained 'invisible' in the absence of a comprehensive genotyping panel, like the one used here." Prof Sequist and Dr Dias-Santagata say that SNaPshot can be performed in most existing clinical molecular diagnostic laboratories affiliated to hospitals and other institutions, using equipment that is already available. Although SNaPshot was used initially on NSCLC patients, Dr Dias-Santagata and her colleagues are now using it in a range of solid tumours such as colorectal, breast and gliomas. In addition, they are planning to extend their analyses to cancers of the blood, including acute myeloid leukaemia. "While the present report describes the results of lung cancer genotyping, the SNaPshot test has been making a difference to clinical decision-making for a broader range of cancer patients. Future goals for testing involve the use of several technologies to obtain a more detailed genetic signature for each tumour. We hope that this approach will help us identify therapeutic options for a much larger fraction of cancer patients and provide a good resource to understand differences in response to therapy," said Dr Dias-Santagata.